For such a little airsoft gun, there’s a lot to love about the HK MP7 GBB Airsoft submachine gun, especially now that we offer it in Flat Dark Earth (FDE) color. The HK MP7 is arguably one of the most popular options for airsoft players looking for a high performance airsoft submachine gun with an equally high enjoyment factor. For such a little airsoft gun, there’s a lot to love about the HK MP7 GBB Airsoft submachine gun, especially now that we offer it in Flat Dark Earth (FDE) color. The HK MP7 is arguably one of the most popular options for airsoft players looking for a high performance airsoft submachine gun with an equally high enjoyment factor. Simply pick one up to hold in your hands and you’ll immediately suspect you might have something special. Take one to a game and you’ll know. 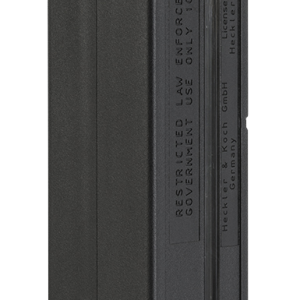 We took all the same great features of the black HK MP7, and wrapped them up in a rich, FDE colored shell. The HK MP7 GBB SMG in FDE features a high-impact resistant, nylon fiber-based body with a long list of features. 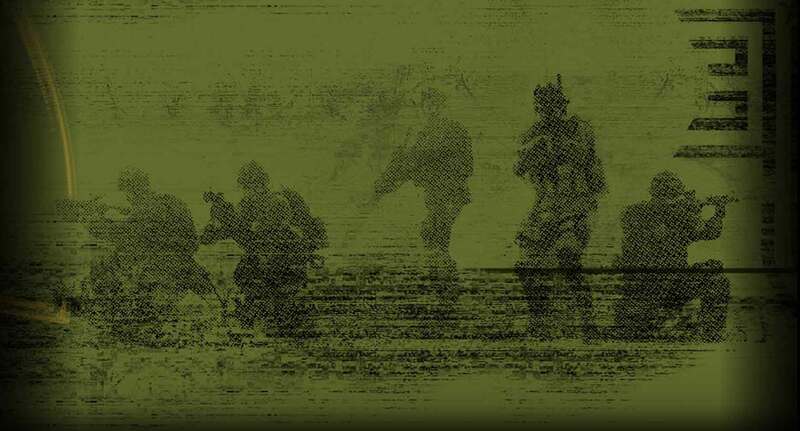 Whether you’re left or right-handed, it matters not. 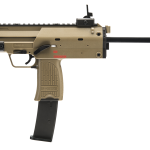 The HK MP7 GBB SMG in FDE offers full ambidextrous control of the gun with the exception of the adjustable stock release button, which is technically located on the right side of the gun. However, it’s in such a position that it can be easily accessed from either hand with ease. 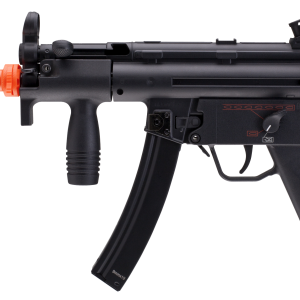 Capable of functioning in both a close-quarter battle and long-range, open field role, the HK MP7 offers a level of versatility that makes it extremely hard to compete with compared to other airsoft SMG’s on the market. 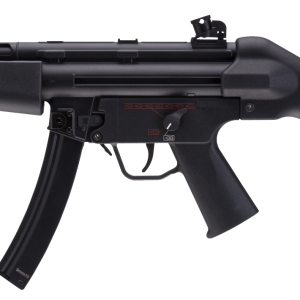 The HK MP7 GBB SMG’s internals feature the legendary KWA NS2-based gas system that players around the world have come to respect. 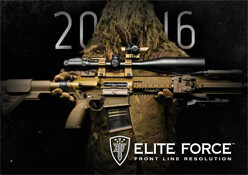 Additional features include a collapsible stock, front and rear flip-up sights, Picatinny rails on the top for optics and PEQ-15 lasers, plus side rails for flashlights and a folding vertical grip on the underside of the front end. 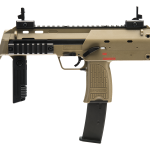 Add Heckler & Koch trademarks, molded and licensed, at several key points on the gun to round out this extremely versatile and attractive airsoft submachine gun.